Identify your coins quickly and easily! THE OFFICIAL RED BOOK features full-color, actual-size and enlarged photos, with historical details about each piece. "How rare are my coins?" The Red Book shows mintages for all federal coins, from the ultra rare to the everyday. You might have a real rarity in your pocket change! "How much is my coin worth?" 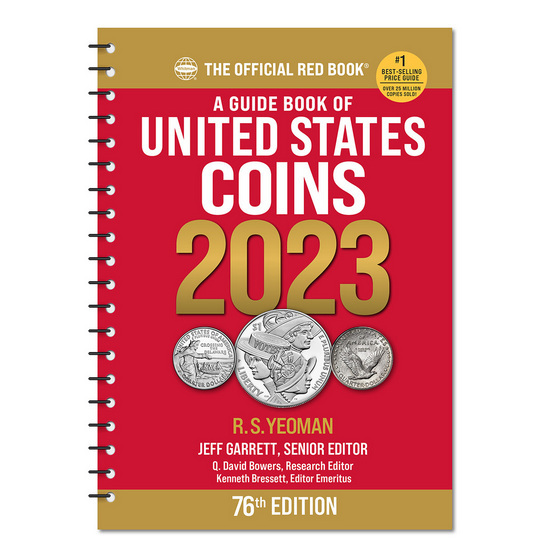 Find out inside: The Red Book has clear, easy-to-follow grading information for each series, and prices in up to 9 grade per coin. #1 Best-Selling Book on Coin Prices!